Some of the organizations that we support include YMCAs, Park & Recreation Departments, Boys & Girls Clubs, Little League, PONY, Babe Ruth, and many other youth baseball leagues. We work with many parent established and independent and administrative programs. Our activities have provided printed and electronic materials and a range of events including t-ball team attendance at both major and Minor League baseball teams. Every year we arrange for local teams to play demonstration games at the MLB All-Star Game FanFests. 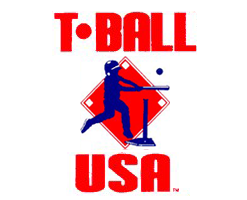 The T•BALL USA logo identifies the projects and programs that have developed to support all levels of t-ball activity. We are National Member of USA Baseball. Players ages are 3 1/2 thru 7. 40 feet for games with younger players. 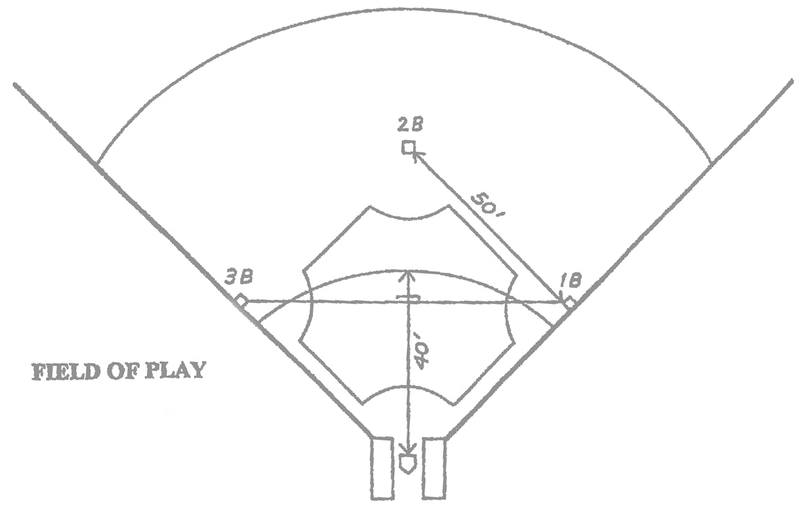 Imaginary playing line between 1st and 3rd base or an arc 40 feet from home plate. 30 feet for younger players. Ball is hit off a batting tee; no pitching. Ball must travel 10 feet or is a foul. No fielder may cross the playing field until the ball is hit. An inning is over when all players have batted once. Standard game is four innings. Can be extended. Scores are sometimes not kept; no winners or losers.